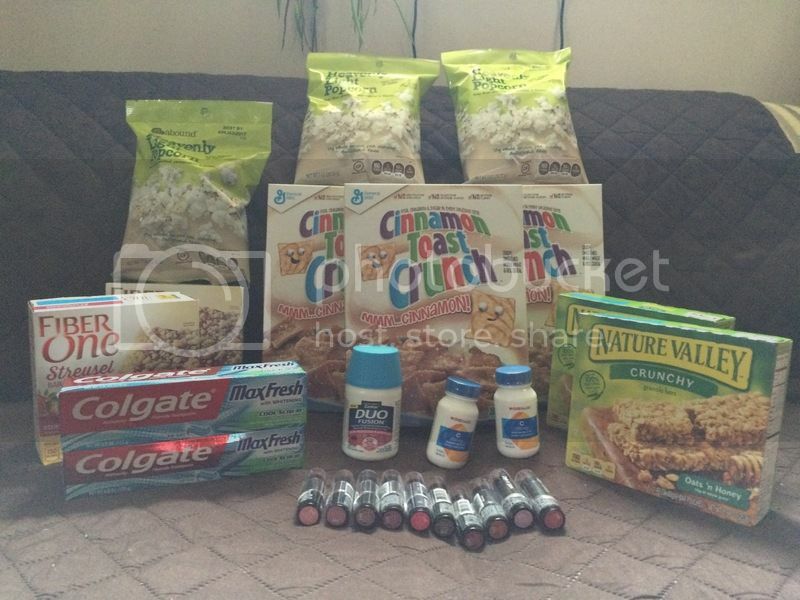 I started to love CVS Pharmacy when I started to acquire most of the stuff I purchase during my first transaction FREE. Yes!! It’s definitely free, after the ECB [Extracare Bucks] they called it, in which it is a good as a coupon that can be used in any item or like a payment on your next purchase. We all know, this is their way of keeping their customers from keep coming back to their store. I have to admit their prices is way more than the other local cheap store here, however, when you know their deals, you’ll get those items more likely 90% off or FREE. Last Tuesday, my friend and I went to our local CVS Pharmacy and look what deals to haul that day. I wasn't sure of my oop [out of pocket] and since I don't have any of the items stock in store, I still proceeded and just to go with another option, without expecting my haul turns out to be an unexpected at all and what’s great about it, is that it is FREE after my ECB and a Moneymaker.